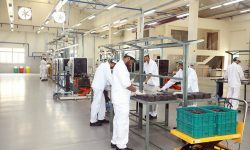 The foundation stone of the manufacturing facilities of Atlas Autos (Private) Limited was laid by Chairman Atlas Group, Yusuf H. Shirazi in February, 2012. 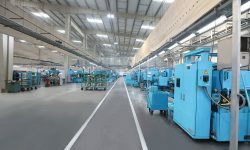 Since then, the Company has achieved a rapid and sustainable growth. 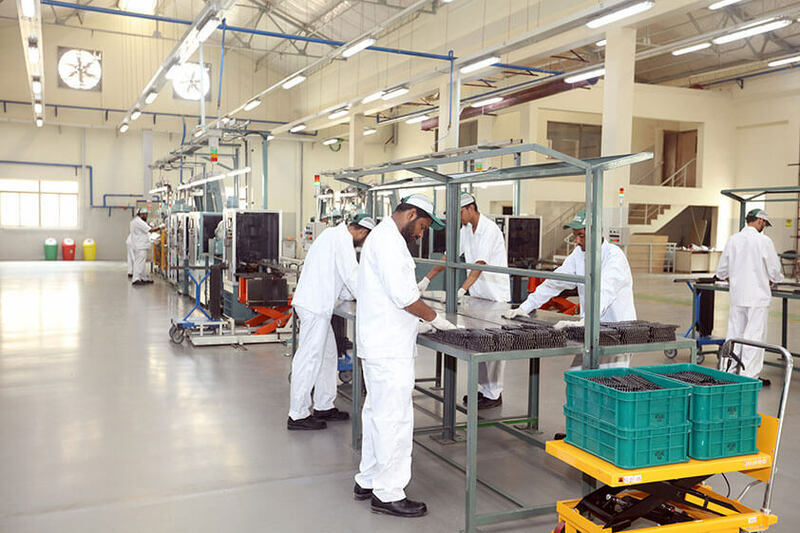 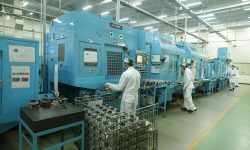 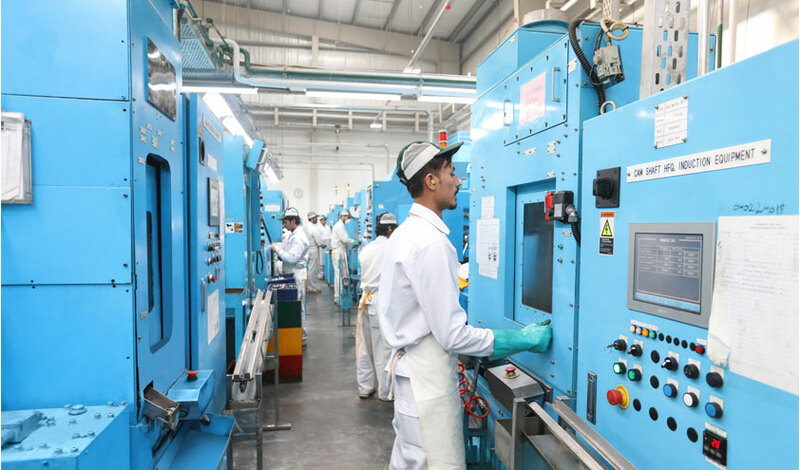 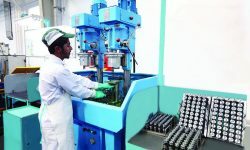 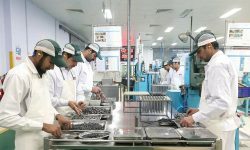 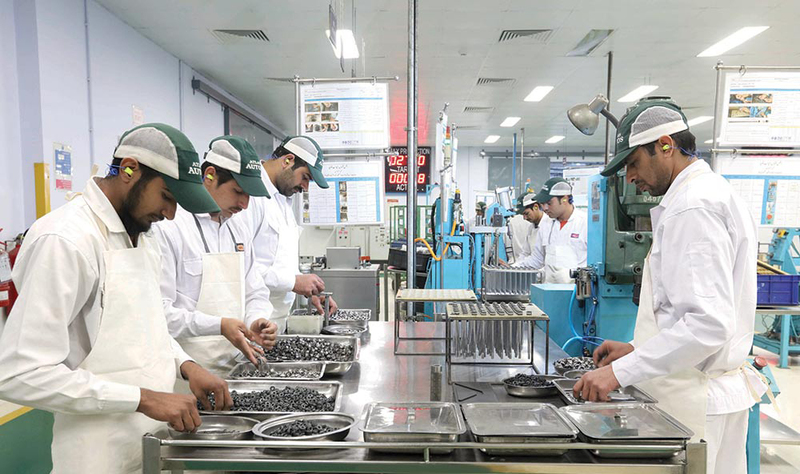 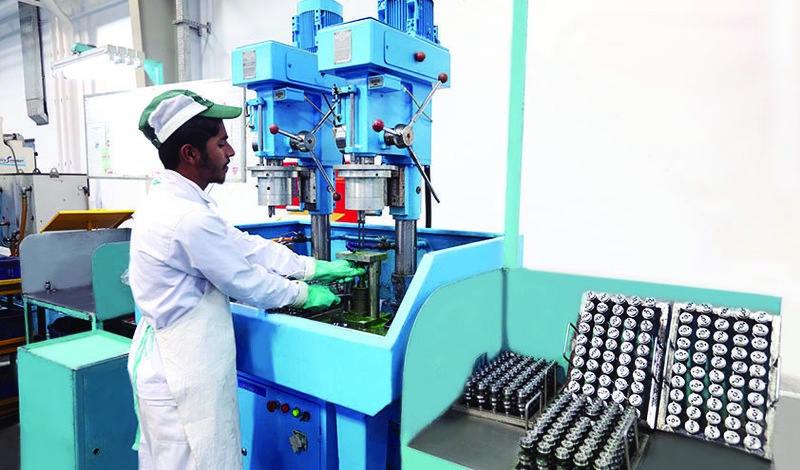 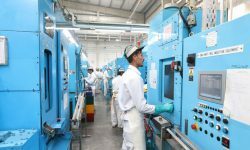 Currently, its manufacturing facilities are located at Karachi and Sheikhupura. 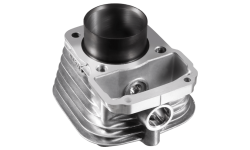 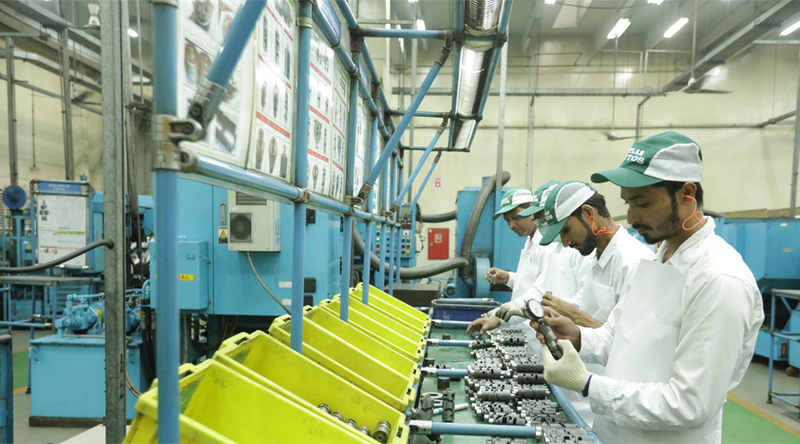 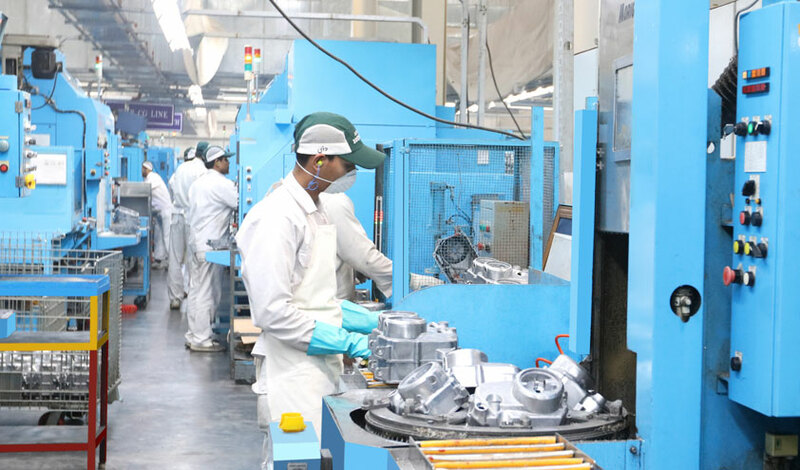 The Company is producing motorcycle parts under strict quality assurance as per Japanese Standards (JIS/HES) for Atlas Honda Limited and its after sales market. 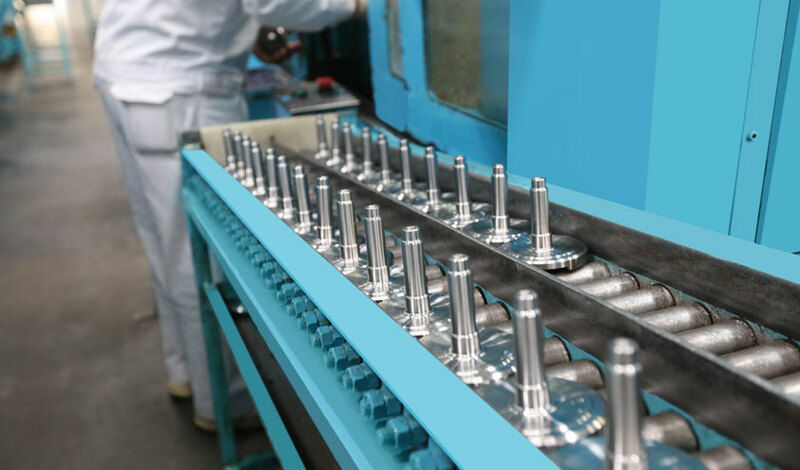 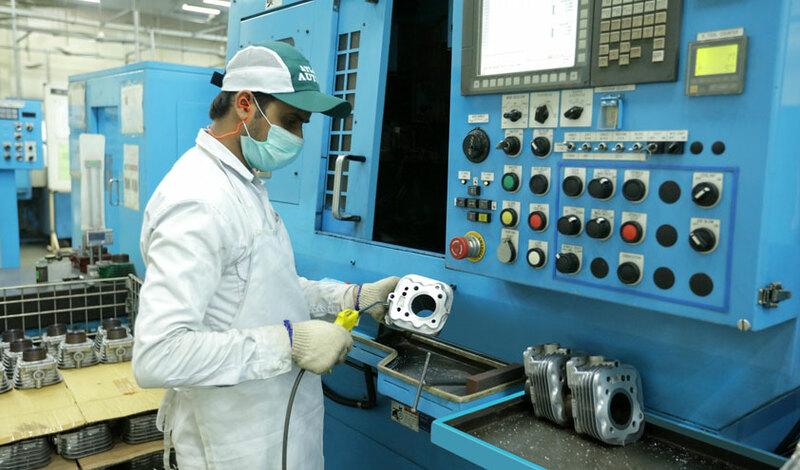 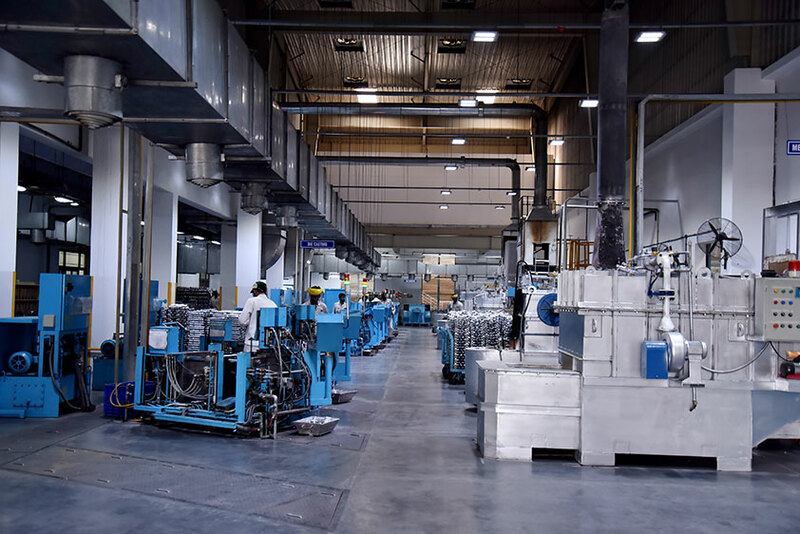 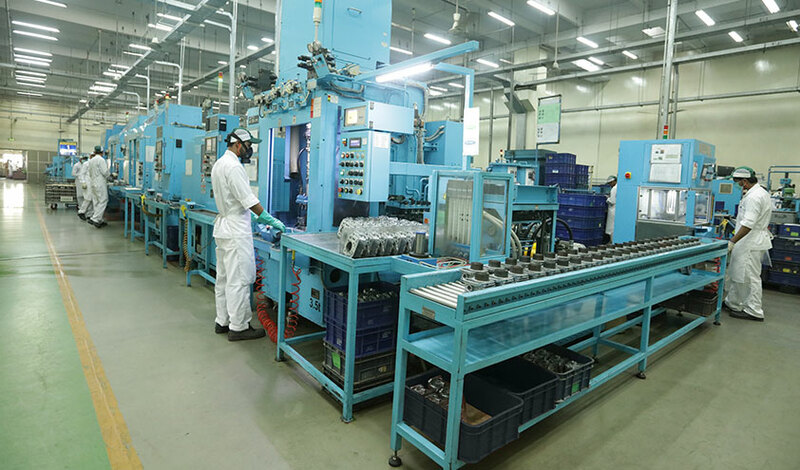 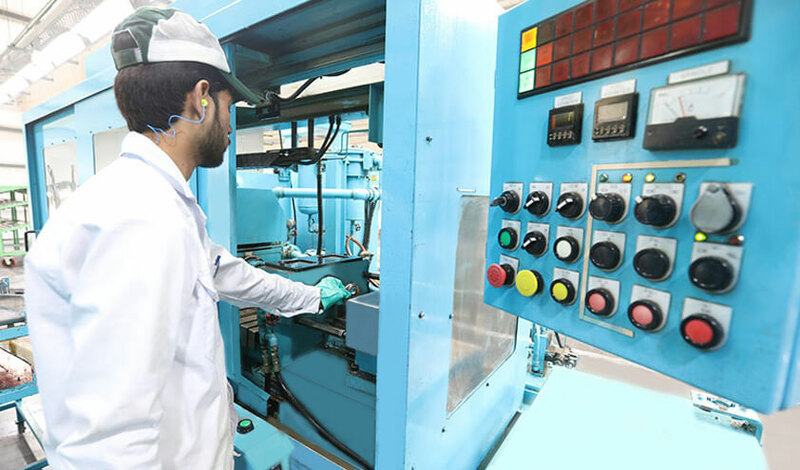 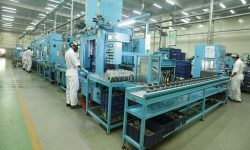 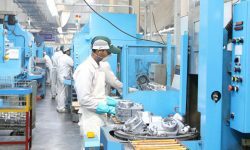 In line with its vision and mission, Atlas Autos is employing cutting edge technology to produce high quality auto parts and components at competitive prices. 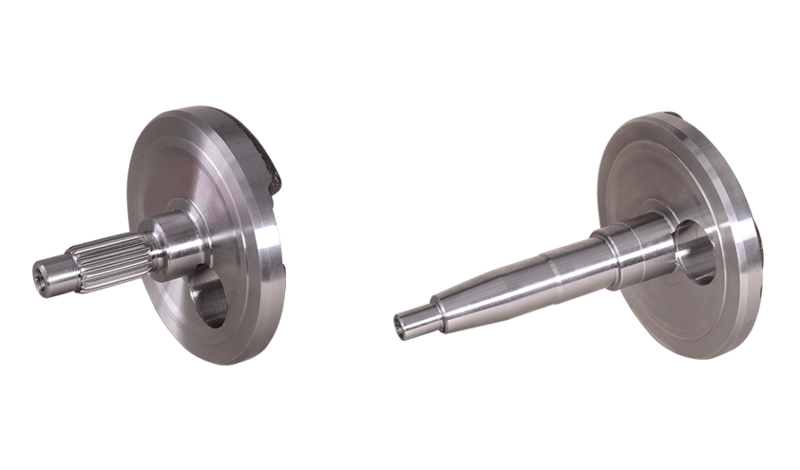 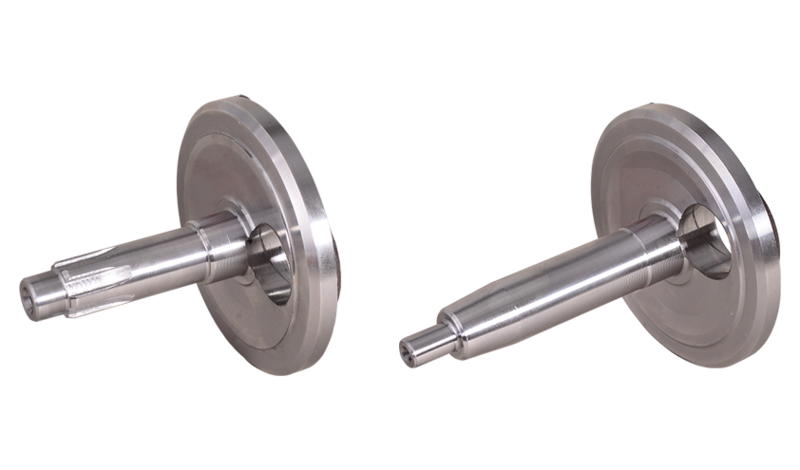 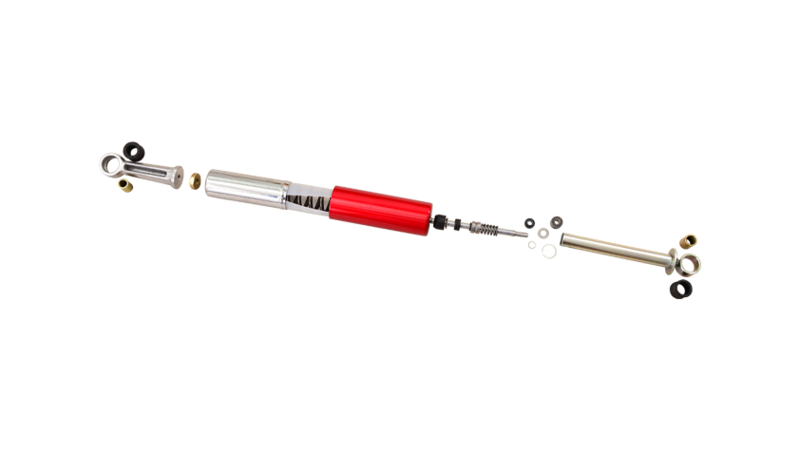 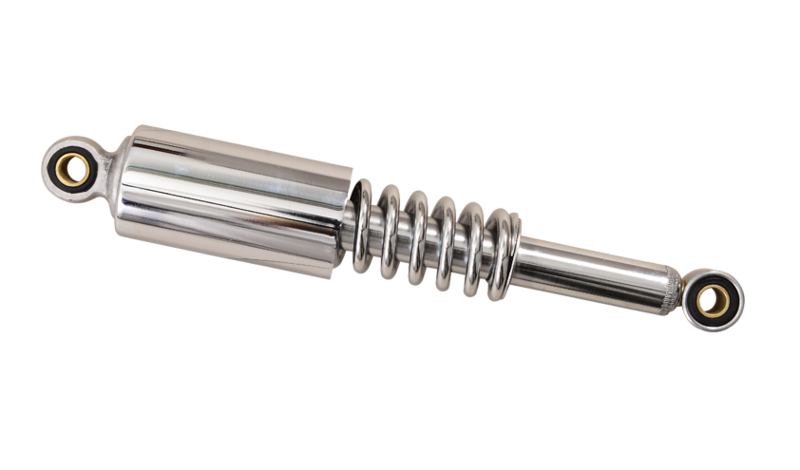 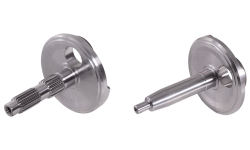 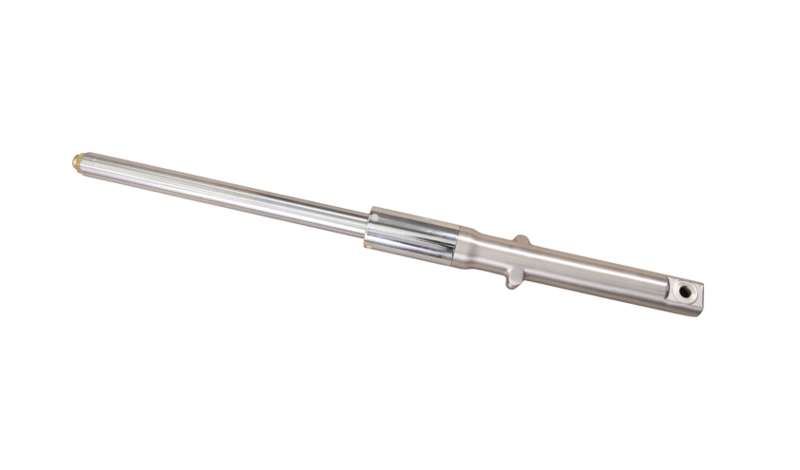 Atlas Autos assembles shock absorbers from parts produced in-house as well as from purchased parts. 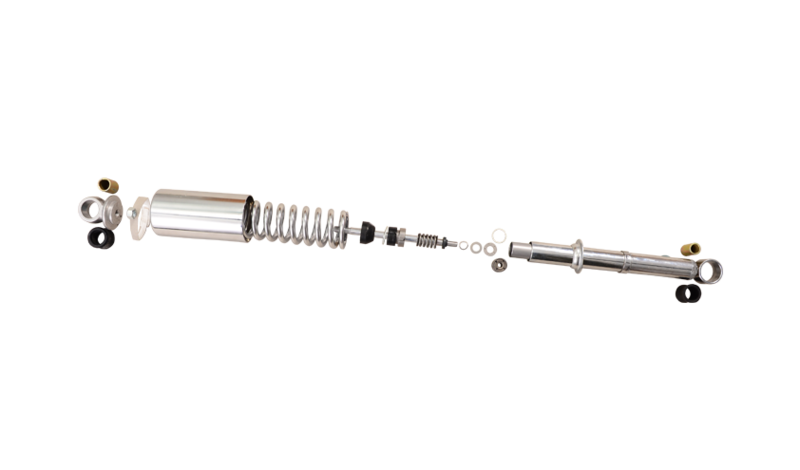 Several related shops have been systematically added over the years for manufacturing sub components of shock absorbers under strict quality control standards in Technical Collaboration with Showa Corporation, Japan. 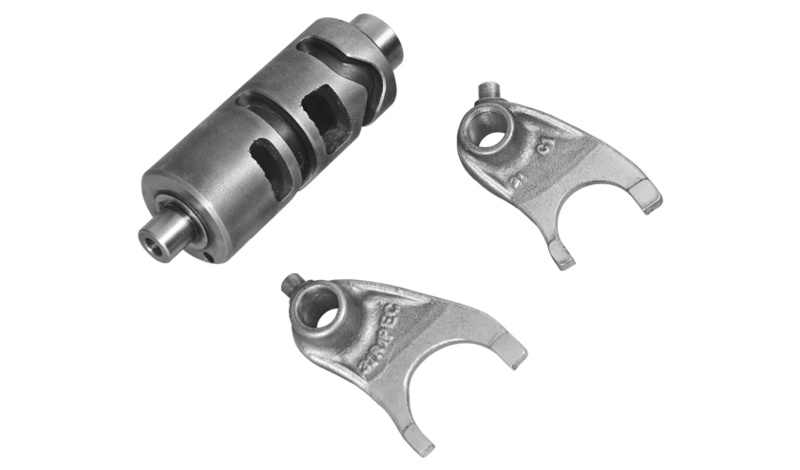 The shop has multiple GDC machines to cast Case Bottom (one of the main parts of front shock absorber) for motorcycles. 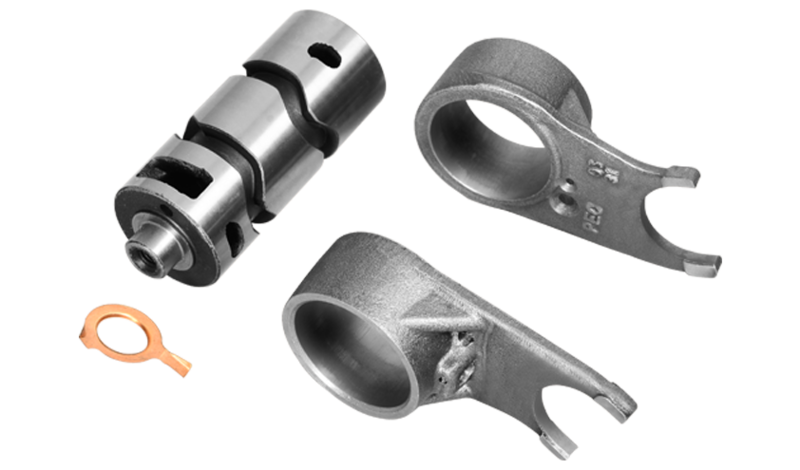 Case Bottom machining shop is machining Case Bottom for motorcycles. 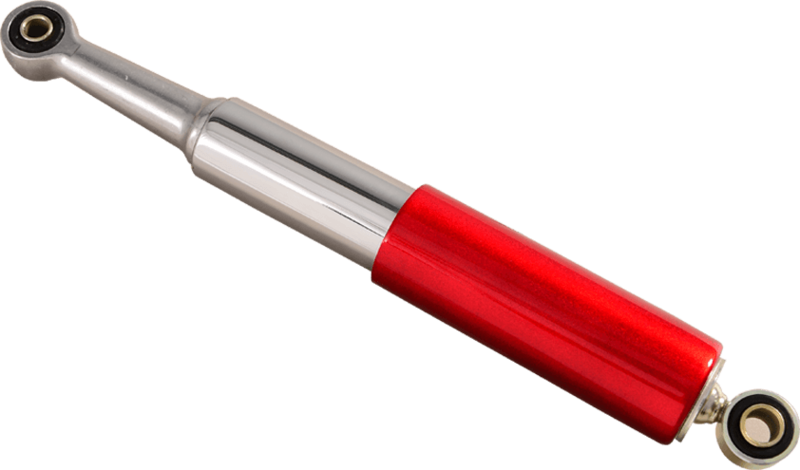 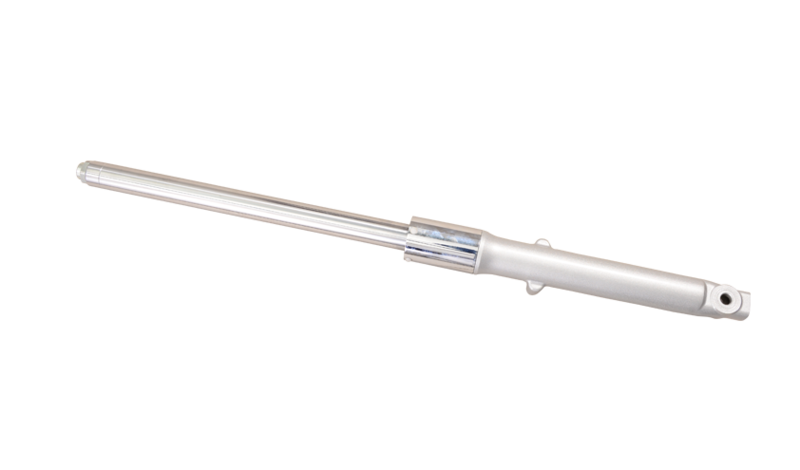 Case Damper is a part of rear shock absorber. 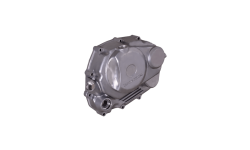 This shop carries out projection and condenser welding of Case Damper of motorcycles. 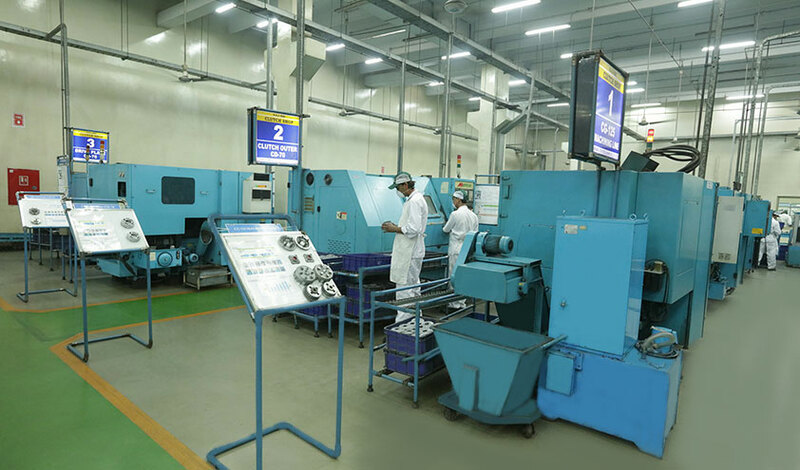 Buffing Shop is divided into two portions. One portion uses belt type buffing for the buffing of Case Bottoms. 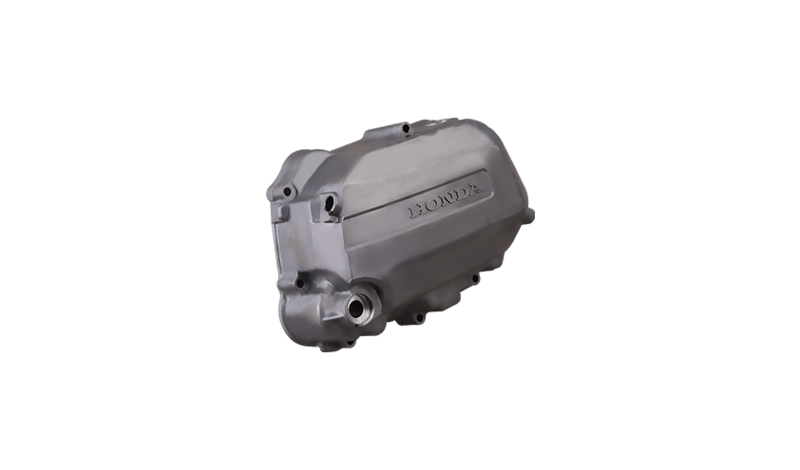 Whereas, the other portion uses buffing emery wheel to buff Crank Cases and Covers Crank Cases of motorcycles. 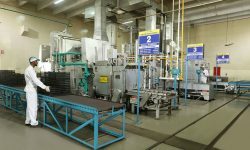 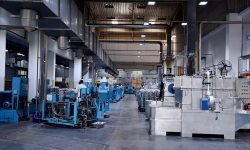 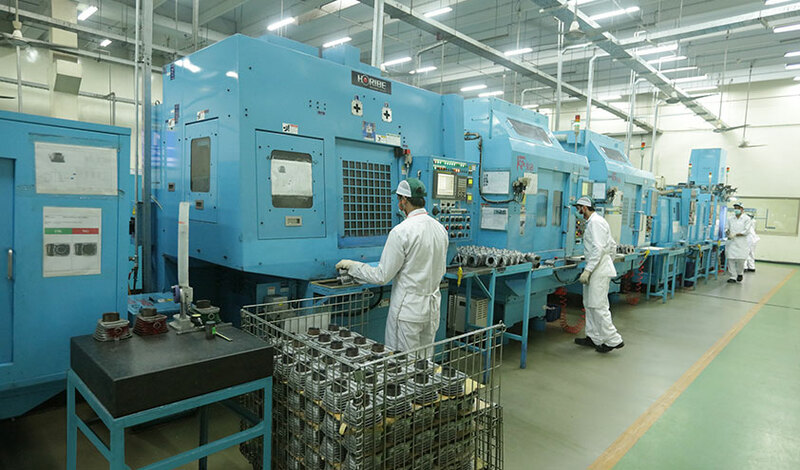 This shop uses three axis machining centers integrated with latest computer software for maintenance of dies used for gravity die casting machines. 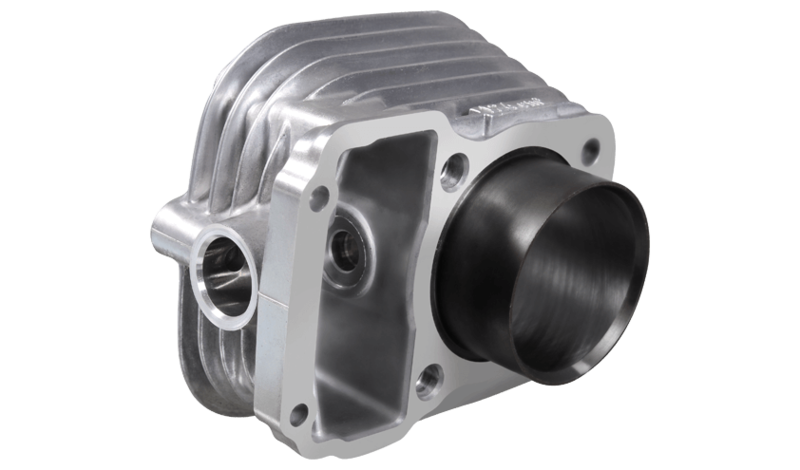 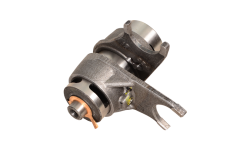 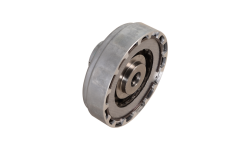 Atlas Autos manufactures Clutch for motorcycles. 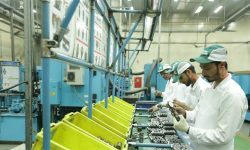 To ensure adherence to the highly demanding quality standards of Honda Motorcycles, Atlas Autos has entered into a Technical Collaboration Agreement with F.C.C. 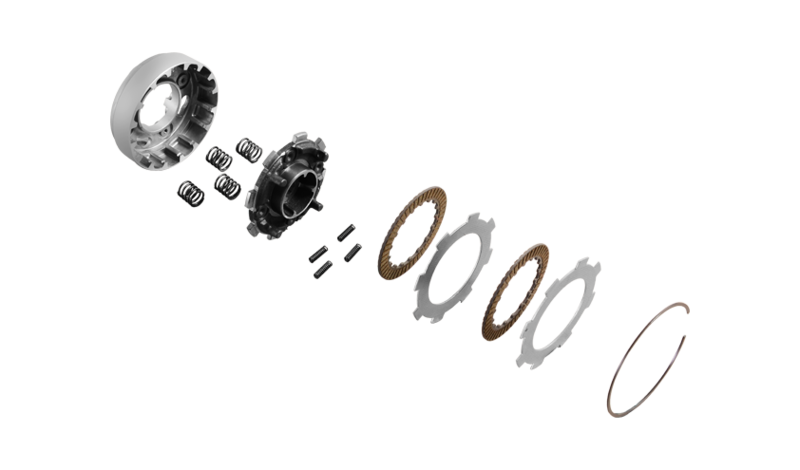 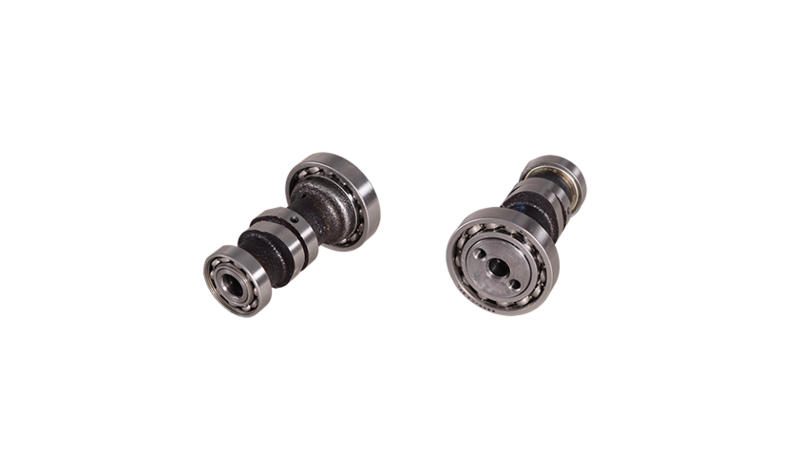 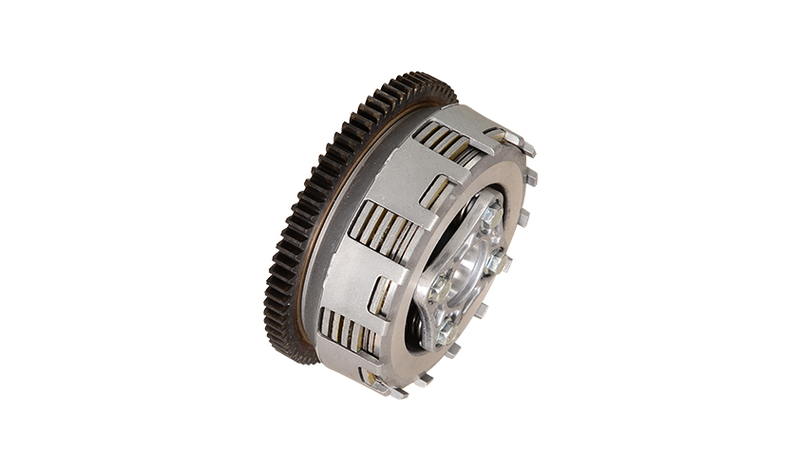 Co. Ltd., Japan, one of the leading names in clutch technology across the globe. 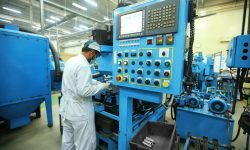 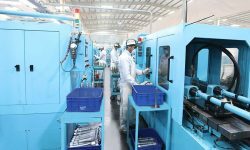 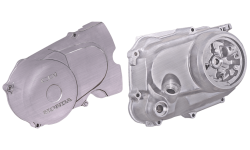 The clutch shop comprises of high pressure die casting and machining facilities with the state of the art assembly line. Atlas Autos manufactures drum gear shift for Motorcycles and to meet the trademark quality of Honda Motorcycles, it has entered into Technical Collaboration Agreement with Atsumitec Co. Ltd., which is a Japanese based automobile company involved in manufacturing of automobiles parts globally. The shop contains heat treatment facility as well as facility for processing drum in carburizing and tempering furnaces. 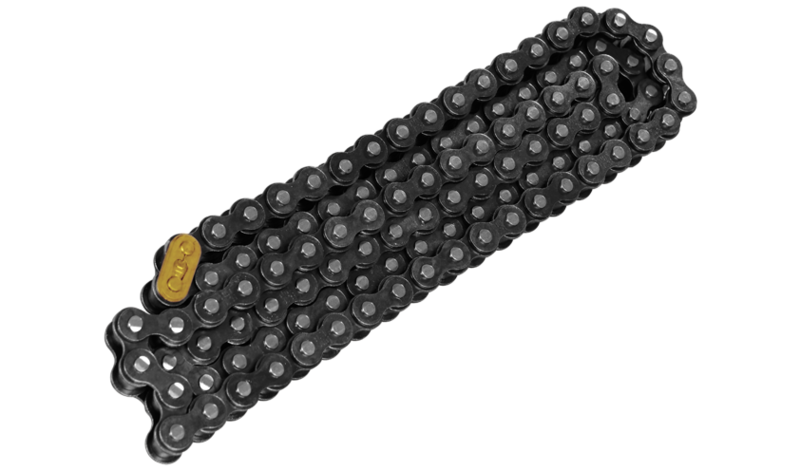 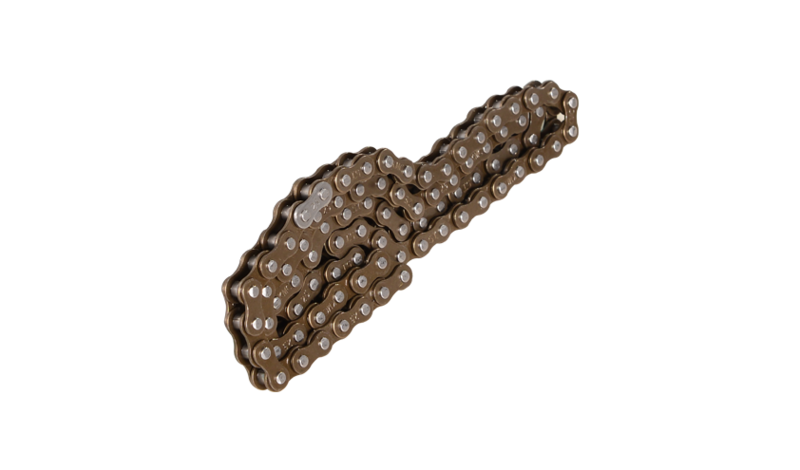 Atlas Autos has recently commenced assembly of Drive Chains and Cam Chains for motorcycles. 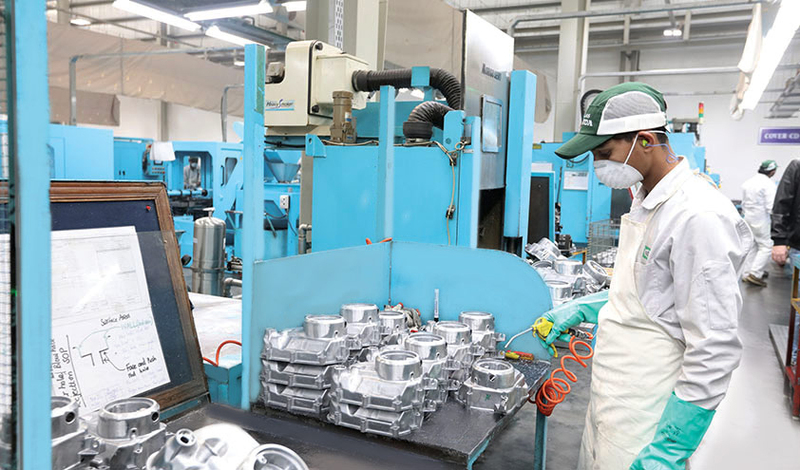 To ensure top-notch quality as per the stringent requirements of Honda Motorcycles, it has entered into Technical Collaboration Agreement with Daido Kogyo Co. Limited, Japan. 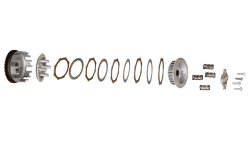 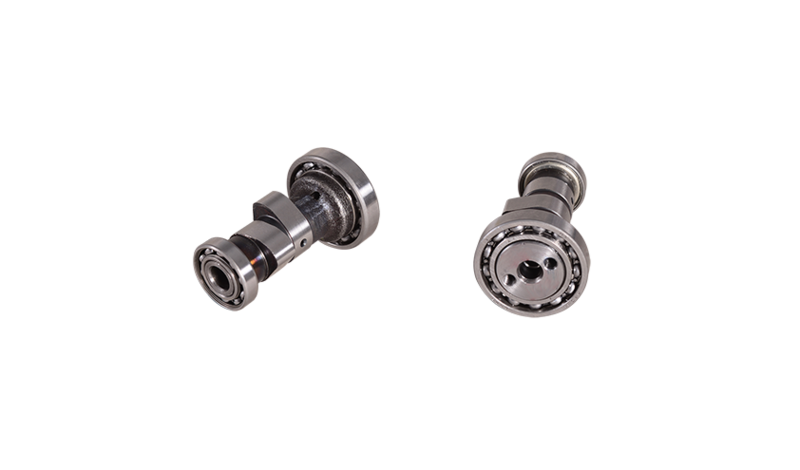 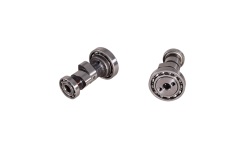 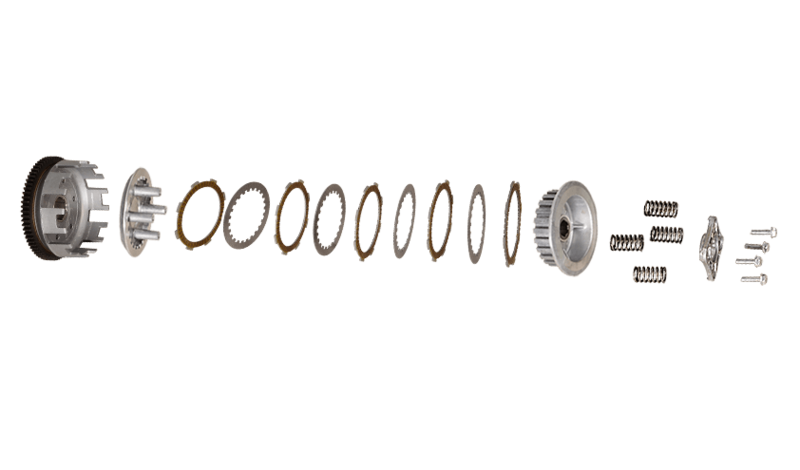 Camshaft is an engine part which operates the engine valves for intake & exhaust of air-fuel mixture. 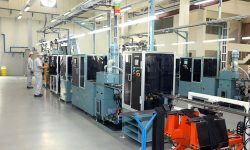 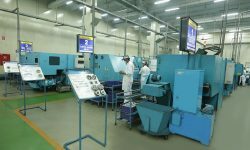 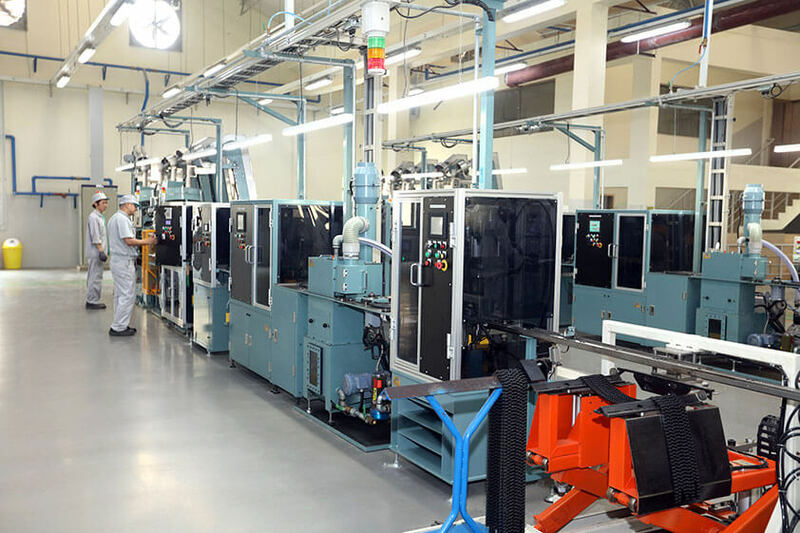 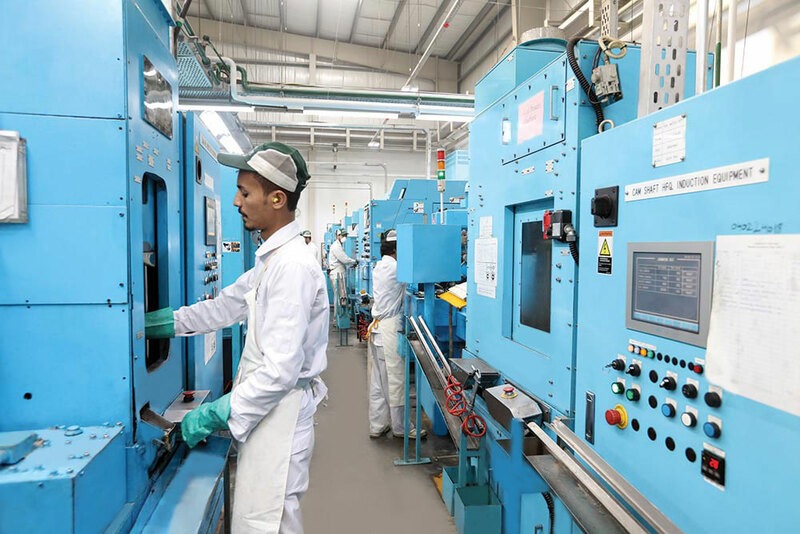 The entire machining line of the Camshaft shop is operating on state-of-the-art Japanese CNC (Computer Numerical Control) machines. 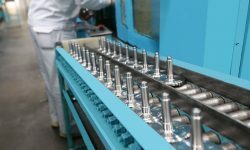 This shop uses alloy steel casting to produce camshafts for motorcycles. 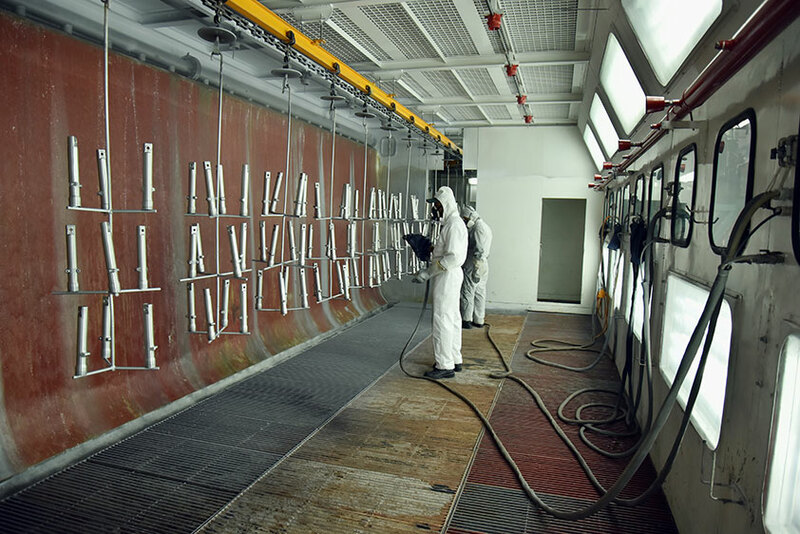 Atlas Autos operates several paint shops for painting of metal and other parts using high quality paints. 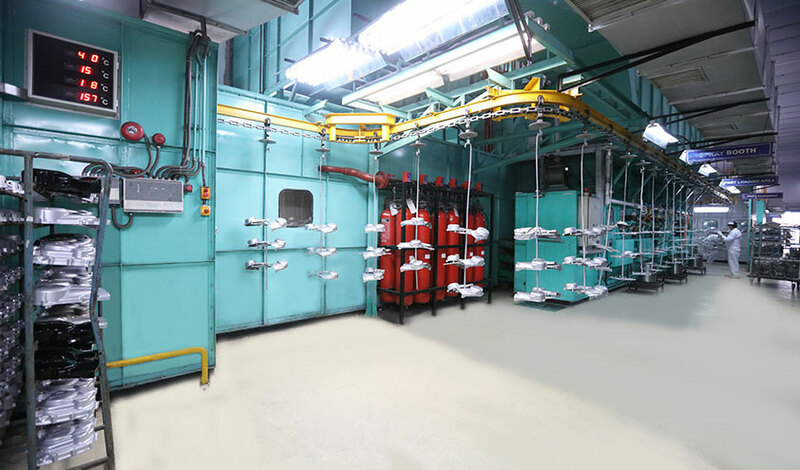 The Company uses environment-friendly electrostatic painting techniques to control the emission of volatile organic compounds. 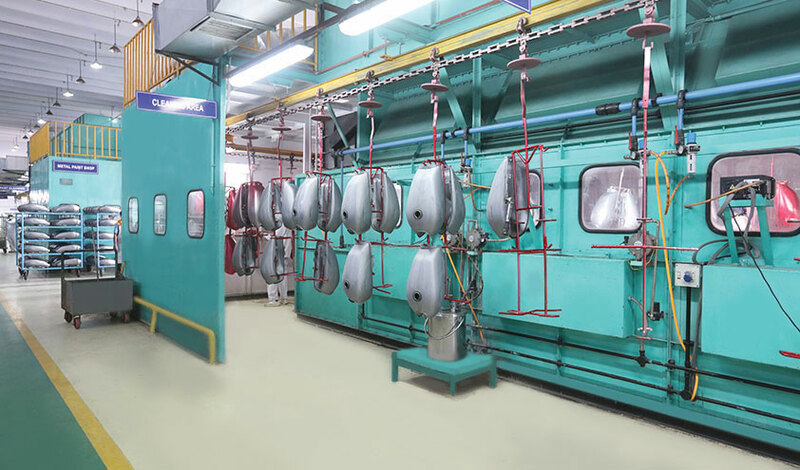 This shop paints metal parts of motorcycles. 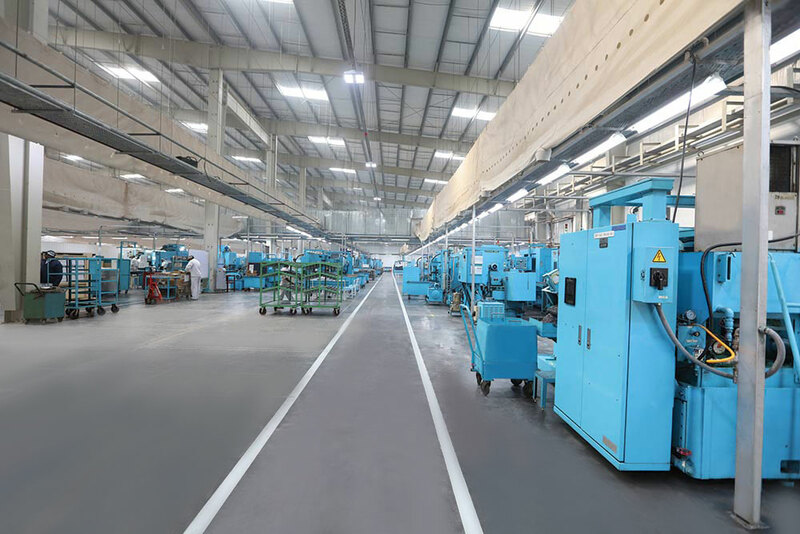 To increase the paint life and reduce the environmental effects on the painted parts, Metal Paint Shop employs advanced pre-treatment process before painting of parts. 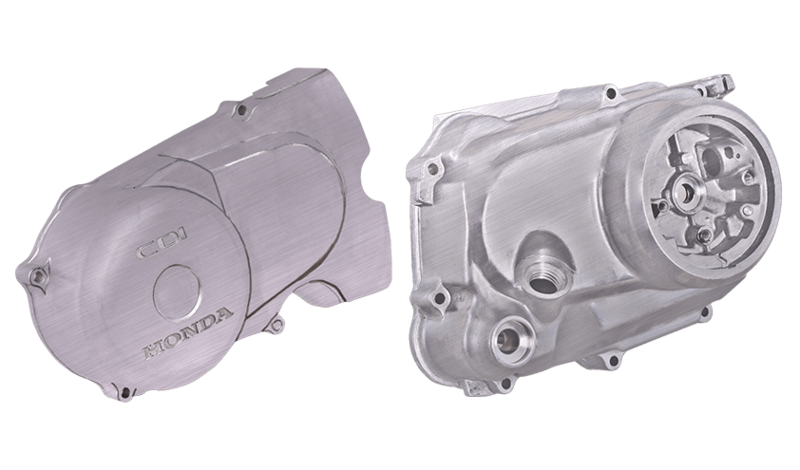 ABS paint shop paints plastic parts for motorcycles and ensures trade mark quality of Honda motorcycles. 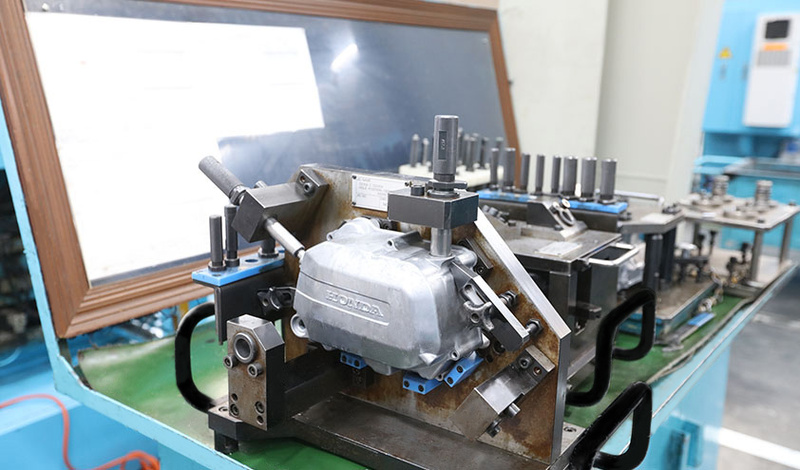 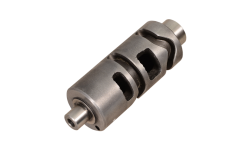 The Crankshaft shop is pre-machining the crankshaft used in the motorcycle engine assembly. 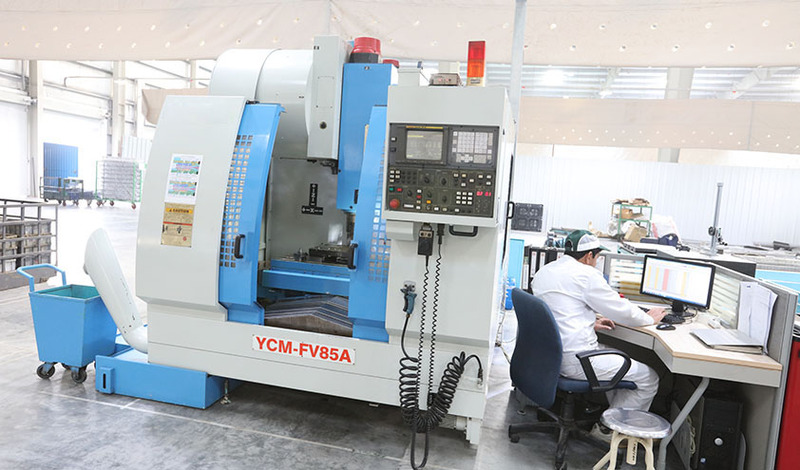 This shop is using rotary milling machines in combination with vertical CNC (Computer Numerical Control) machining centers for machining of Cover Crankcases. 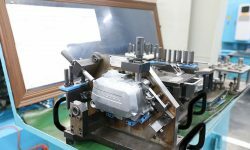 It is machining Cover Crankcases for motorcycles. 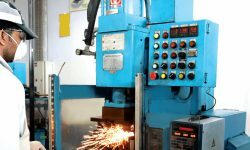 This shop performs machining of cylinders for motorcycles. 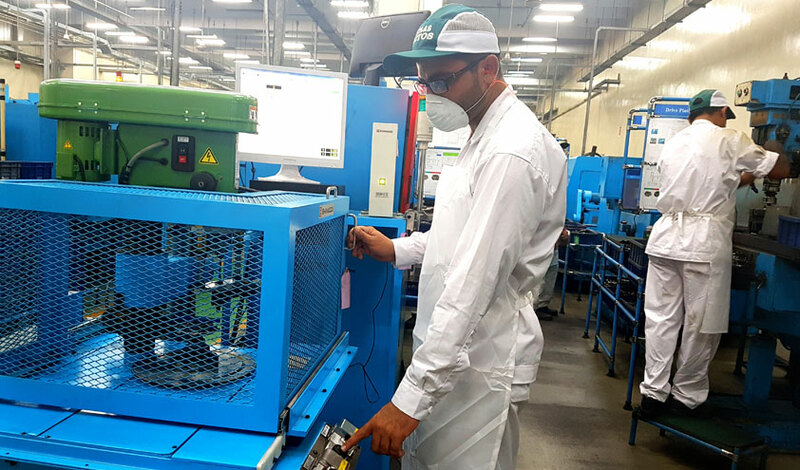 Production commenced from October 2017 with state-of the-art production line operating at high efficiency while maintaining top-notch quality.